The seagulls caught them in the air, on-the-fly, and more and more and more came. The more chips we threw, the more birds came. 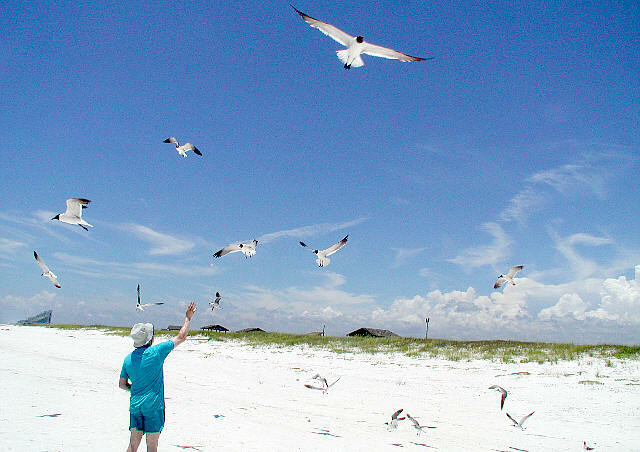 After we had stopped, and began swimming in the ocean again, the birds stayed for about 3 hours, they wanted more chips! 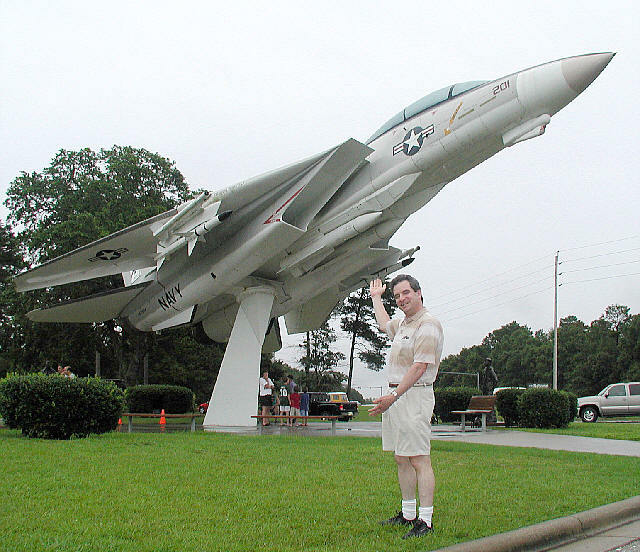 One of the best things in Pensacola was the Navy Air Base. I don't know a lot about it, but we learned a little bit while we were here. The Blue Angels, the Navy's precision aero team is based here. These are the guys that fly in precision formation for air show all over the world. Two of the mornings we were here, they flew overhead of the Brier home during practice, the jets screaming , making the air rip with their sounds. Too cool, it was just too cool. John Brier said we should go to the Naval Air Base here. It turns out that in Pensacola there is one of the major Naval Air Bases. Are there other Naval Air Bases in the US? Why are you asking me, I don't know!!!! 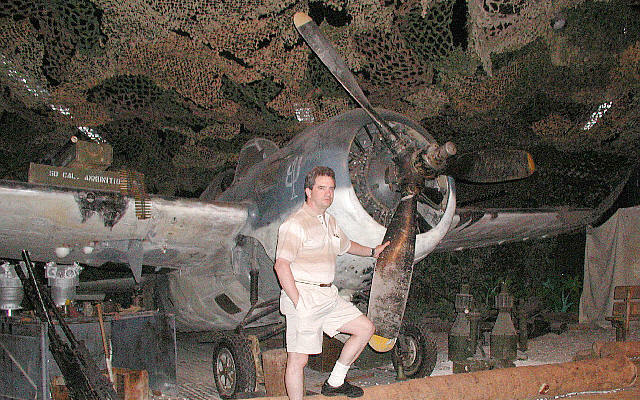 They have a museum, I think perhaps it is the main Naval Air Museum in all of the US. 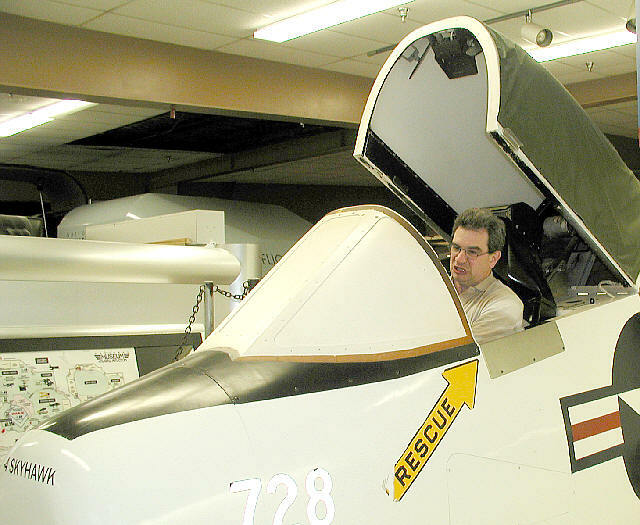 Is there another, better Naval Air Museum? Why are you asking me all of these questions, I don't know the answers!!! Anyway, this is a fantastic museum, I recommend it to everyone, whether or not you think you would like airplanes or not. There are hundreds or planes, old, new, bad ones, good ones. propellor driven and jets, everything you can imagine and more. It's the most fantastic air museum I have ever been to, that is for sure. Strap me in, I am ready to go!!!!!!!!!!!!!!!!!! Inside this museum, there are so many planes, old and new ones, everything in between, I can't even tell you. Dozens, dozens, and dozens of planes - maybe over 200? There are so many it is hard to tell. 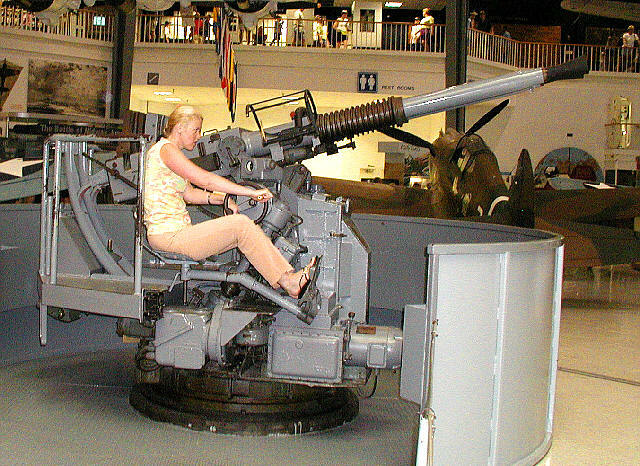 Here's Marina, blazing away on the Anti-Aircraft guns, she looks so serious, I would not want to be in a plane, flying against her! She looks like a Dead-Eye!! !